When you have multiple worksheets in an Excel workbook, you might want to save only one worksheet as its own workbook. 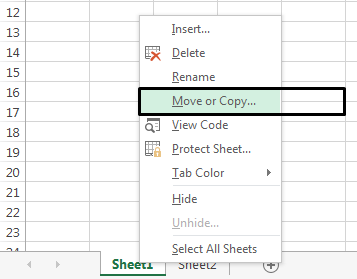 Use the Move or Copy function to save one worksheet in Excel 2013 or Excel 2016. Right-click the worksheet name tab. Click select Move or Copy. 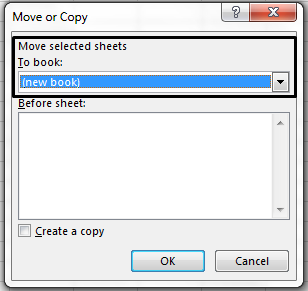 Click on the Move selected sheets to Book drop-down menu. Select (new book). Click OK. Your new workbook opens with your moved worksheet. Note: This process moves your worksheet from the original workbook. 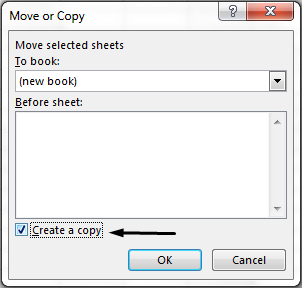 If you want to keep your worksheet in both workbooks, in the Move or Copy dialog box, select the check box for Create a copy. Click File > Save in your new workbook. Tip: You can also save your Excel workbook with the keyboard shortcut, Ctrl + S.